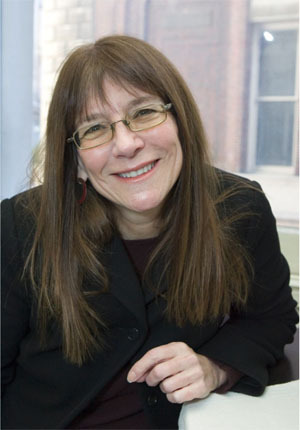 In the following interview with Dr. Janet Metcalfe of Columbia University, she discusses the following: growing up in Toronto; motivations of studying science and the mind; early studies and investigations into the human mind; experience as a woman working in the academy; an emotionally trying experience; summary of 2010-2014 metacognitive research; responsibility of academics to society and culture; and the take-home message of her metacognitive research. Keywords: Columbia University, Dr. Janet Metcalfe, human mind, metacognition, mind, Psychology,responsibility,Science, University of Toronto. I grew up in Toronto. And I think being a Canadian and having a good educational system is a very good thing for everyone, which is not as accessible here in the US as it is there. 2. What motivated an interest in science and the mind? I have always been interested. In high school, I was one of those nerdy kids in the library reading Aristotle and Plato. But I was very naïve. I did not realize that there were actually people studying those kinds of issues in the universities. It was not until much later that I realized I could actually do that with my life and not become a sales clerk, Lawyer, or some other field. 3. How did you find your early study and investigation into the human mind? The first couple years, I was doing theatre design at the nationale in Montreal as a designer. Theatre design is pretty wonderful from the outside. From the inside, you have to be extraordinarily talented. It is also very political. You have to be so amazing. I am in awe of people who can do it. You also have to starve for a long time to do it. The odds are very, very against you. I ended up doing a B.A. in costume design in Ottawa. And doing the odd show in Ottawa, working in my spare time with a children’s program, and I loved being with children. It was so great. They were kids from Lower Town, Ottawa. There aren’t many slums in Ottawa, but I would not say this is a slum. However, I would not say these kids were privileged. I would take them around to all of the various cultural events to try and give them an opportunity. Then I realized that I really loved doing that. I decided to go back to school and do things in learning. I had to do my learning course at Ottawa. It was Behaviorism, but it was with rats and stuff. So that was out to sleep. I wanted to work with kids and know how they learn. Because we did not know; we still do not know. (Laughs) We know a bit more. We did not know how to teach them. I was pretty convinced that the kids in Lower Town, if they could just get their grades up in school, then they would be on track. That would be their ticket. I went back to the University of Toronto. I started school again. I sat myself in, although I did not know it, but the University of Toronto and Stanford were the centers of memory research. I took a class and the professor–Bennet Murdock– asked, “I need a research assistant. Just come to my office if you want to be a research assistant.” I went with ten other people. He decided simply on grades. That was me. So I got the position because I had the highest grades. So I was his research assistant. It was amazing! Because he was studying memory and the minds, how we think, and mathematical models of memory, I was put in, as an undergraduate, put in with his postdocs and Ph.D. students. It was fantastic! He’s been my mentor ever since. He’s still in Toronto. He’s 92. I still see him from time to time. It was such luck. At the University of Toronto, there were so many great people at the time doing such wonderful, great research. So I lucked into it. It was fun. 4. In terms of working in the academy as a woman, how did you find your early studies, research, and work? Have things changed? Yes, it is interesting. I was in Canada during my early time and I think there was a lot less discrimination in Canada than in the US at the time. I later taught both at Dartmouth and currently teaching at Columbia. I could not have been a student at either of those places. In Canada, there was a tradition and some wonderful women in the department already. Well, there was one time. I had a baby in graduate school while I was doing my Master’s thesis. My Master thesis was published. Usually they were not published, at least at University of Toronto. Mine was published. It was a very good thesis. They had a prize for the best thesis, but they gave it to a guy. They said that they gave it to the guy because his wife had a baby. That was the only time I thought, “My thesis was better than his was. And it was because his wife had a baby! (Laughs) I was writing this while in the hospital.” There were times when it was very rarefied. I was in the Society for Mathematical Psychology, where there were very few women, okay. I did not feel discriminated against. There was simply a lack of women in it. I think it is pretty transparent. I think some of the women now helping women to have self-confidence, and not take personally rejection letters, are doing a great service. I do not think it has gone away. But Canada was no so dead. Because there were some women in the department already, they had some pretty strong women there. I remember one woman there in her 60s. She had been in the field for a long time. 5. What do you consider your greatest emotional struggle? How did you overcome it? Well, it is pretty hard having a baby, getting a thesis done, and having my whole salary going into my baby. It was a conflict between career and family life. It is hard being an academic with a family life fighting for tenure. I think women more than men have more assumed responsibility for children than men. There is a biological clock. This usually becomes an issue when you are coming up for having a child and going to compete for jobs and tenure. That is when your children need you the most too. It is very, very hard. I think we should do a lot more. People helped me! When I was a post doc at UCLA, Elizabeth Bjork was on the board of directors of the Wesley Presbyterian Nursery School, which is a couple of blocks from the lab. It was a great nursery school. She negotiated on my behalf so I could get free childcare there. I got to see my kid all the time. I got to know the other kids. And I got free tuition. She totally ran interference for me. It happened again and again in my career. People helped me a lot. We need to help people a lot. We need to help women a lot. It makes their life possible. 6. Your current research focuses on peoples’ metacognitive abilities. In particular, the use of metacognition for self-control. How do you define metacognitive abilities? What have you found with your research on metacognitive abilities since around 2010 onward? I have been focusing on agency. On people’s sense of doing what they’re doing. I have been really focusing on metacognition and agency. I think this is an absolutely fascinating problem. How do I know that I am me, right? So we created a little computer game lovingly called space pilot. There are Xs and Os all over the screen. You move the cursor to catch the Xs. We can intervene in things such as noise into the system and time delay into the system. We can ask people what the performances was like – what is called straight metacognition, “How in control did you feel?” We are finding that there are very dramatic differences and similarities in this judgment of control, knowing when you are in control. For example, people who have schizophrenia do not have control. They can judge the performance. So there’s straight metacognition is okay. There is judgment is okay. But they do not know if we have intervened. There are a whole lot of consequences, I think, in their real life, if they cannot judge real life – if they cannot judge what is coming from the external real world. It is very central for their ability to get around in the real world. People with Asperger’s have some problems too. For example, they have problems with self-boundaries. We have found some interesting glitches. They will take credit for magic. Other undergraduates will not take credit for magic. If it is good and it is kids, it is because of them. There are these very interesting differences. We have put participants in brain scanners. There are several components that we are able to isolate. It looks like there are a variety of cues that people use to make this very central judgment that your grandmother sings is just obvious, I know I have done it. It is direct knowledge.” Well, it is not direct knowledge. It is inferential knowledge, but inferential knowledge that we mostly get right and it is a good thing that we do. We are starting to know that right temporal-parietal junction in the brain has something to do with detecting when things are not going the way they should, when you feel that things are not in your control. We know the frontal-polar area, behind your forehead more or less, has to do with making the judgment itself. It is has to do with all kinds of self-relevant judgments. It seems to have to do with all kinds of attributions of the kind of person that you are, but you have to know at some level that this is you doing it. Also, we know striatum, in the old brain, is the reward system of the brain is connected so that you feel reward for your feeling in control – for you being an agent. So we are starting to get an idea of the neural components and psychological cues that people use. So we are starting to understand it, which is kind of fascinating. That is the stuff since 2010. 7. If any, what responsibility do academics and researchers have for contributing to society and culture? 8. If you have a take-home message about your research, especially related to recent research on metacognitive abilities in relation to learning, what would you have for people to understand? Oh my goodness, I don’t know. Metacognition is kind of the highest level of thinking that you have got. And the ability to think about your thinking gives you the possibility to control your thinking and to take responsibility – for you to be free. For you to be responsible for shaping your own mind, it gives you that little prod. In that, you can take control of your own mind and future. It is a little bit, but you have this possibility to change yourself. I think that is a fascinating possibility and people can, because we have got this possibility – and maybe a other primates have it or so it looks, but most animals do not have that capability. However, you have the possibility to change yourself in a good direction. 1) Finn, B. & Metcalfe, J. (2014). Overconfidence in Children’s Multi-Trial Judgments of Learning. Learning and Instruction, 32, 1-9. 2) Metcalfe, J., Eich, T. S., Miele, D. B. (2013). Metacognition of agency: proximal action and distal outcome. Experimental Brain Research, 229, 485-96. 3) McCurdy, L.Y., Maniscalco, B., Metcalfe, J., Liu, K. Y., de Lange, F., & Lau, H. (2013).Anatomical coupling between distinct metacognitive systems for memory and visual perception. Journal of Neuroscience, 33(5),1897-1906. 4) Metcalfe, J. & Finn, B. (2013). Metacognition and control of study choice in children.Metacognition and Learning, 8(1), 19-46. 5) Miele, D. B., Son, L. K., Metcalfe, J. (2013). Children’s naive theories of intelligence influence their metacognitive judgments. Child Development, 84(6), 1879-86. 6) Cosentino, S., Metcalfe, J., Holmes, B., Steffener, J. & Stern, Y. (2011). Finding the Self in Metacognitive Evaluations: Metamemory and agency in non-demented elders.Neuropsychology, 25,602-612. 7) Cosentino, S., Metcalfe, J., Carey, M., Karlawish, J. H. T., & De Leon, J. (2011). Memory awareness influences everyday decision making capacity about medication management in Alzheimer’s disease. International Journal of Alzheimer’s Disease, 2011, (online). 8) Kelly, K. J., & Metcalfe, J. (2011). Metacognition of emotional face recognition. Emotion, 11, 896-906. 9) Miele, D. M., Wager, T. D., Mitchell, J. P., & Metcalfe, J. (2011). Dissociating neural correlates of action monitoring and metacognition of agency. Journal of Cognitive Neuroscience, 23, 3620-3636. 10) Metcalfe, J., Eich, T. S., & Castel, A. (2010). Metacognition of agency across the lifespan. Cognition, 116, 267-282.